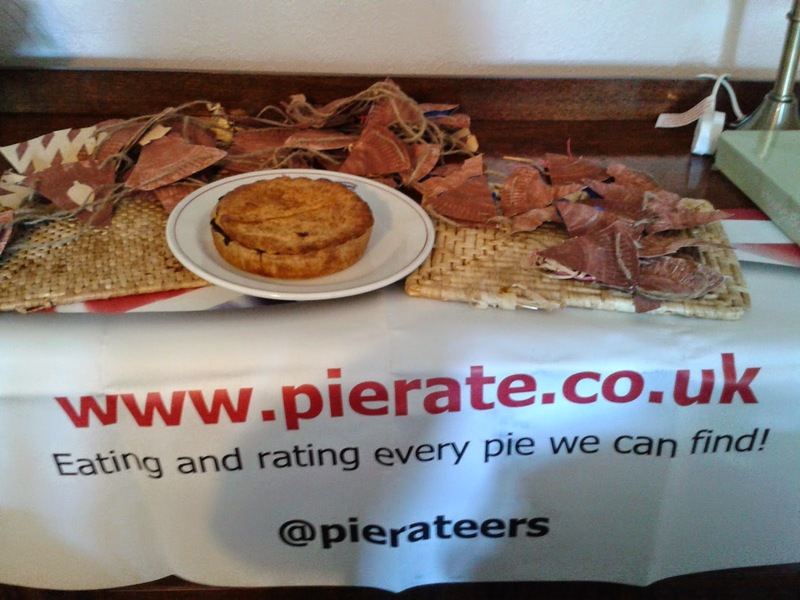 continue reading "Which punderful pie will reign supreme at the British Pie Awards 2014?" Co-operative - Rhubarb Pie Review The Co-op seem to have been going through a difficult time recently with problems with their banking division and falling profits elsewhere. By contrast Rhubarb has seen a resurgence recently with many touting the health benefits of this unusual vegetable. Perhaps a Co-operative Rhubarb pie review on the leading pie review website might be just the postive publicity that Co-op needs? Especially when this pie comes as the very first pie in the Pierate 'pie for every meal' challenge during British Pie Week. 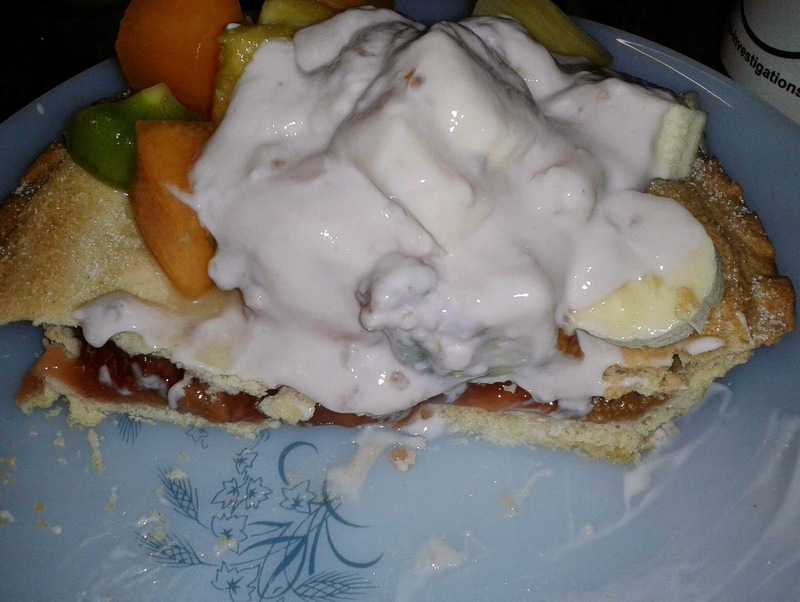 See the pie being eaten in a 'five-a-day in one meal' combo for Breakfast in the video log for Day One of the challenge. Despite the whole pie being eaten at once this was not a small pie, it could have comfortably served a few people for desert. It didn't have an excessively large crust like the ASDA Rhubarb pie we reviewed recently (you wait so long for a rhubarb pie review and then two in one month...). It was a decent Colour and Condition and looked much more appealing than the ASDA effort. I quickly realised that it was just too thin to get a really high score, there was a poor Capacity. The filling had a classic baked rhubarb taste with enough sugar to prevent it being too sour. Rhubarb is always a strange flavour, I always find it odd to eat a sweet pie with a vegetable in rather than a fruit. However, it is a homely flavour and works well in a pie. The pastry was good, crumbly and sweet, but not too sweet. Despite the fact that I ate far too much of this pie, I wasn't fed up of it by the end which must have been a good sign that the pie wasn't all that bad. At £1 this is a pie I would buy again although I may share it next time! continue reading "Co-operate with Rhubarb"
Hmm... why was I talking about microwave chips...? Oh yes, we love food that can be microwaved, even if it doesn't taste quite as good as the normal version. Convenience is king nowadays in our busy lives, even sometimes when it comes to pies! There are many pies which can be heated up in the microwave, but very few specifically for the microwave market. Pukka pies do a microwave 3 1/2 minute chicken pie which we were quite impressed with back in 2011. Now it seems that Holland's pies are getting in on the act, with ultra-convenient packs of small frozen pies which can cook in the microwave in just 4 minutes. Yes, it is 30 seconds longer than the Pukka option, I will leave it up to you whether this would affect your choice to buy these pies. I have a moderate amount of patience and I found that I didn't mind waiting for 4 minutes. 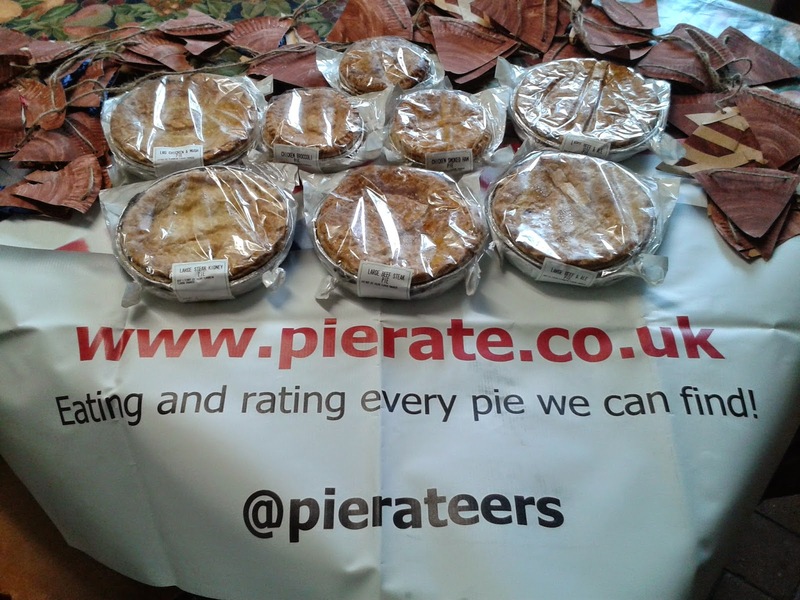 If you are a follower of Pierate you might have heard that I ate pie for every meal during British Pie Week (a total of 21 pies). 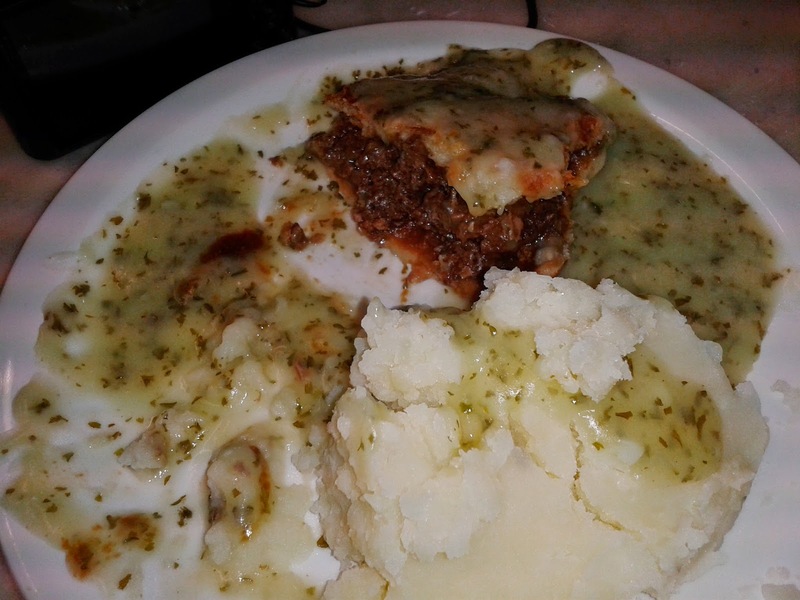 Watch the video of a Hollands Potato & Meat pie being eaten for dinner on Day Six of the challenge to see what I thought. I got this four pack of pies and they were very convenient to have in the freezer, as a quick meal or even better as a snack. I would get them again as an emergency pie. They are only 177g so they are quite small but at £3 for the pack of 4 this was good value compared to other pies. They are certainly not gourmet, the pastry does taste different to 'normal' pastry, it seems these have been specifically produced to be frozen and microwaved. The pastry was quite pale, similar in some ways to the Pukka effort. The fact that there was only 9% meat didn't seem to matter, the potato was soaked in meaty gravy which gave it a classic Meat & Potato taste. I would note that one of the pies I had was a little chewy, despite there being little meat. The pie also wasn't filled very well despite being a small pie. These things stop it getting a great score but it didn't taste bad and they could be worth buying for the convenience. Holland's seem to be good at tapping into the microwave pie market. Their non-frozen pies which we have reviewed before can also be microwaved. In our previous test, we did find however than the non-microwave option was best. The frozen version, although not quite as good, compares favourably to the non-frozen variety. Traditionally a Northern brand, Holland's pies can now be found in the South as well. I got this pack in a Bristol supermarket. We were also very impressed with the Holland's Big Steak pie which is now on sale at Arsenal's Emirates Stadium. 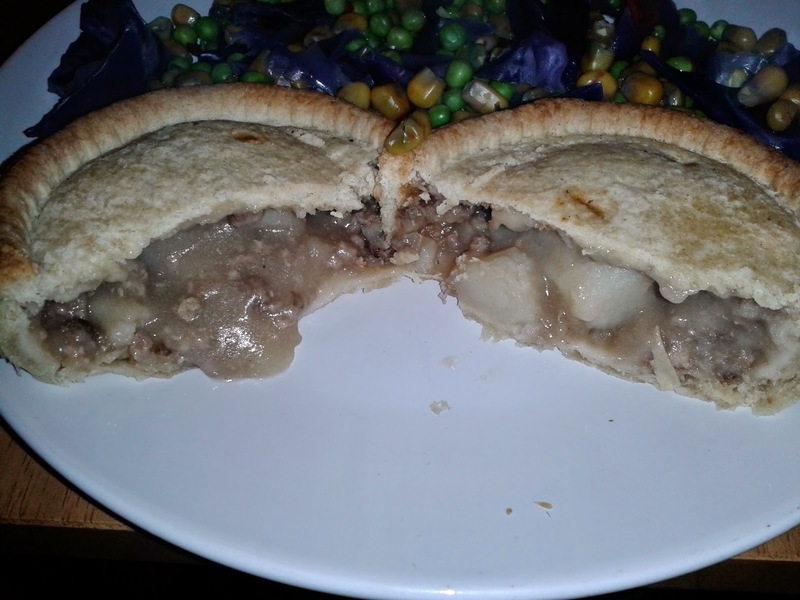 continue reading "Quickety Quick Micro Pie"
As part of my challenge to eat Pie for every meal for the whole of British Pie Week I decided to treat myself to a pie which I suspected should be pretty good, an ASDA Bistro Ultimate Steak Pie. What made me think this pie would be good? Partly because it is a premium pie, costing £2.88 for the one 250g pie. But the main reason is that this pie was reviewed previously by my fellow Pierateer TJP in March 2011. He scored this pie 6.49 in his review 'Make no Mistake, I Ate the Great Ultimate Steak Pie'. 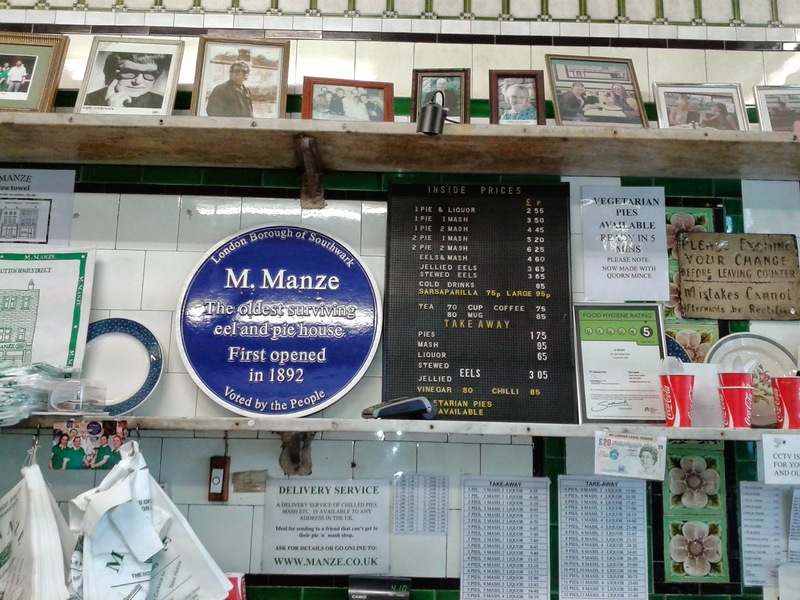 He noted the 'quality chunks of steak' and the 'great steak:gravy ratio' and it has held the title of our top supermarket pie for quite some time. However when I tried this pie for dinner on Day Two of the challenge I found it to be disappointing in nearly every department. 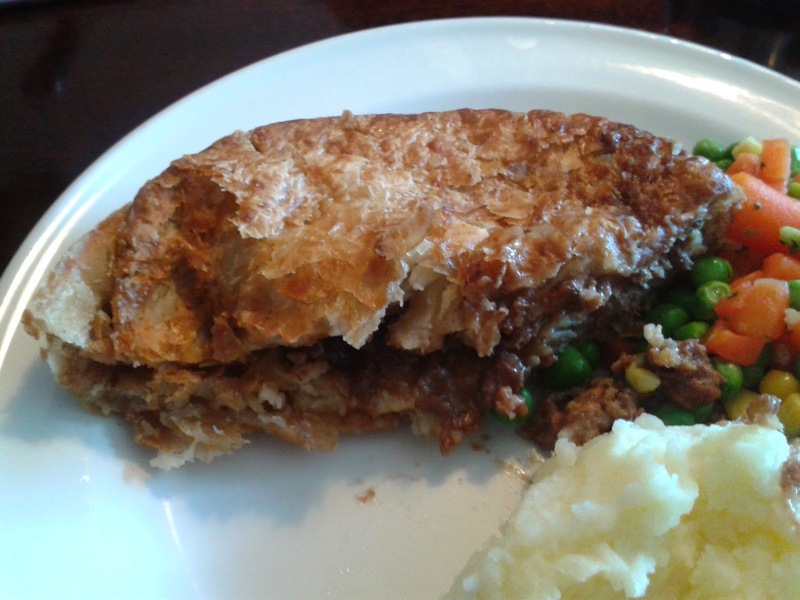 There were only a few small chunks of steak in the pie, the filling was mostly gravy. To make matters worse the meat that was in there wasn't even good, there were some quite fatty bits to it. The pastry seemed too hard, if you look at the video, it was difficult to break into the pie. This meant the pastry was a little dry. There was far too much pastry to filling, I felt like I was just eating pastry. The overall taste to the gravy was nice enough but it wasn't enough to moisten the pastry. The pie had a good capacity, with it being quite tall, just like last time. This was cruel in a way because it made the disappointment of the pie being empty even greater! For a premium pie I felt like I was being really ripped off having paid so much for an empty pie. So where do we stand having tried two such different versions of the same pie? This did seem like it was the same product, with the same shape although slightly different box. But this was three years ago so there could have been changes in the manufacturing process, slight changes of ingredients. But, with any product there is going to be variation. With a mass produced pie, it seems that unfortunately this can mean on occasion that the machines hardly fills some pies while others are well filled. Normally on the Pierate ship we don't tend to adjust a score if there is a small variation between two versions of the same product, but in this case we feel we must, the new score and the old score will be averaged. However, it may be that this is not just a natural variation and the standard of this product has fallen. If we get any feedback that this is the case we will void the original score. The main thing is that despite a decent average score be warned that you may get this terrible version! We have been particularly disappointed with a lot of ASDA pies recently, the Steak & Ale, also from the Bistro range, was equally full of empty promises. In fact empty pies seems to be an ASDA speciality with their Steak & Stilton also severely lacking and their Blackcurrant pie coming with a huge airgap. If you then mention the deceptively large crust on the Rhubarb pie you might question if ASDA pies are best avoided! continue reading "I Made a Mistake, I Ate the Great Ultimate Steak Pie"
continue reading "Does Bowkett's get my supreme pie vote?" Ginsters may be more famous for their slices and pasties, but this Cornish-based company also produces pies. We’ve reviewed the large Ginsters chicken pie once before in a rather inventive post (the title of which, incidentally, also plays on the same pun as this post, but I’m not changing it), but how does the steak pie rate? It’s a solid start. I don’t like to see corners cut on pies, unless it’s a square pie, of course. Goodness, look at that! The pie is puffed up so well that it’s bursting out of the packaging! Either that or they just made the foil tin smaller to give it that effect..
Here’s the pie after 25 minutes in the oven. It’s a nice golden brown on the puff pastry lid. There’s not much to look at with this pie, however. The puff of the pastry on the top is quite impressive, but there’s no added little details. On cutting the pie open, its problems really start to show. The flimsiness of the pie is apparent as it is crushed simply by me cutting into it. Now it looks a bit more like a sandwich than a pie. The filling doesn’t exactly scream “eat me, I’m delicious” either. While this view does show that there’s minimal airgap, this is actually a false “minimal airgap”, since the air was forced out as I crushed the pie trying to cut it open. Okay, so I scraped all of the filling out of the pie, which made this rather small, unappetising grey-brown mound. The chunks of “steak” are in fact very small pieces of chewy meat swimming around in a gloopy, unpleasant sauce. The pastry also didn’t taste very nice, although the lid had a great crispiness to it. I was really struggling to find something wholesome or authentic about this pie, but really it did just seem to me to be a gloopy, chewy concoction of indiscernible ingredients encased within a tasteless pastry shell. And not even that cheap - £1.98 from Tesco’s. continue reading "Ginsters pie is not the tonic"
continue reading "Bring Me a Nice Pie and Make it Snappy!" Here’s a photo of a rhubarb pie. Looks quite large for £1, right?! Is that…is that all crust? Wowzer! That sure is some hefty crust right there. To give you some perspective, here’s what it looks like while you’re eating it. Now, I don’t want to suggest for one minute that ASDA have been deceptive here, trying to make their pie look larger than it actually is…but I’m not going to lie, I can’t see any other advantage over having such an over-sized crust other than to “artificially inflate” the size of the pie. It’s not like having the extra crust was a benefit in any way – the pastry was dry and I left most of it. Removing the outer crust around the edge left a central part of the pie that was actually quite moist and enjoyable, albeit rather sweet, thin and sad. The filling – what there was of it – was quite nice. I like rhubarb, and this had some acceptably-sized chunks within. But the sheer thickness of the pastry meant that this pie had a pretty poor capacity. Overall, I was left feeling rather deceived by this pie. The addition of the practically inedible outer “wing” rather fooled me into thinking I was purchasing a larger pie than I was. continue reading "A rhubarb fool"